There are lots of different berries you can grow in a backyard garden, including strawberries, boysenberries, raspberries and blackberries. While strawberries are pretty standard in Southern California gardens, other types of berries are much less frequently grown and are often considered something to leave for more advanced gardeners to tackle. For those who want to go beyond strawberries and include another type of berry in their gardens, blueberries may be the best choice. They are easy to grow once established, incredibly healthy, and a kid-friendlier, dog-friendlier option when compared to some other berries. 1. 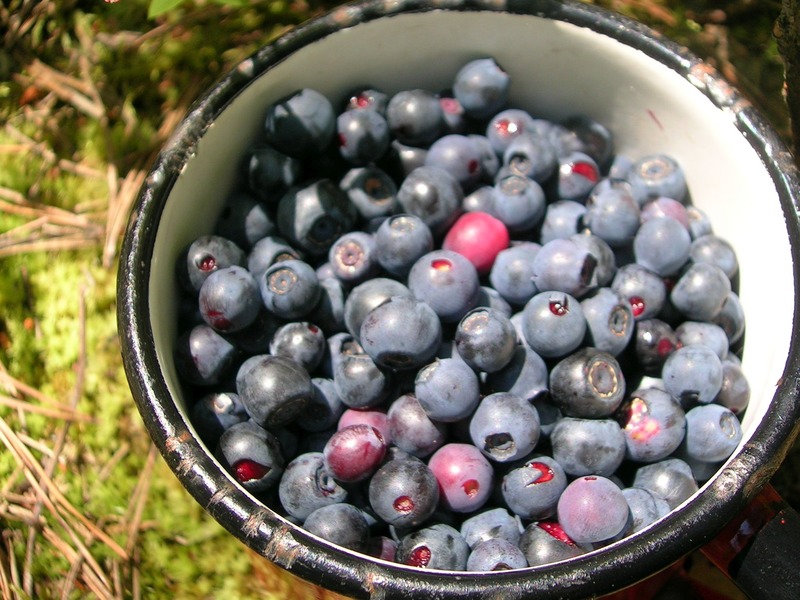 No Thorns: Blueberries have no thorns, which makes them a kid-friendly, dog-friendly choice. The thorny vines common with other types of berries can be difficult to work with and can injure children and pets, but thornless blueberries are easy to harvest without the need for gloves and long sleeves. 2. Compact Size: Unlike the sprawling vines you must train or wrangle with other types of berries, blueberries grow in compact bushes that are ideal for folks with small backyards or who want something that will not take up much space. 3. Can Be Grown in Containers: Blueberry bushes can be grown in the ground, but they do just fine in containers. This makes them one of the best berries for Southern California for people with limited space in which to grow fruits and vegetables. 4. Perfect for Patios: Because they are compact and can be grown in containers, blueberry bushes are the perfect addition to paving stone patios and other outdoor living areas. 5. Attractive All Year: Blueberry bushes give us flowers in spring, berries in summer, and beautiful, ornamental appeal in fall and winter. This is another reason they are a great choice for growing right in your outdoor living areas and make a good landscaping plant. 6. 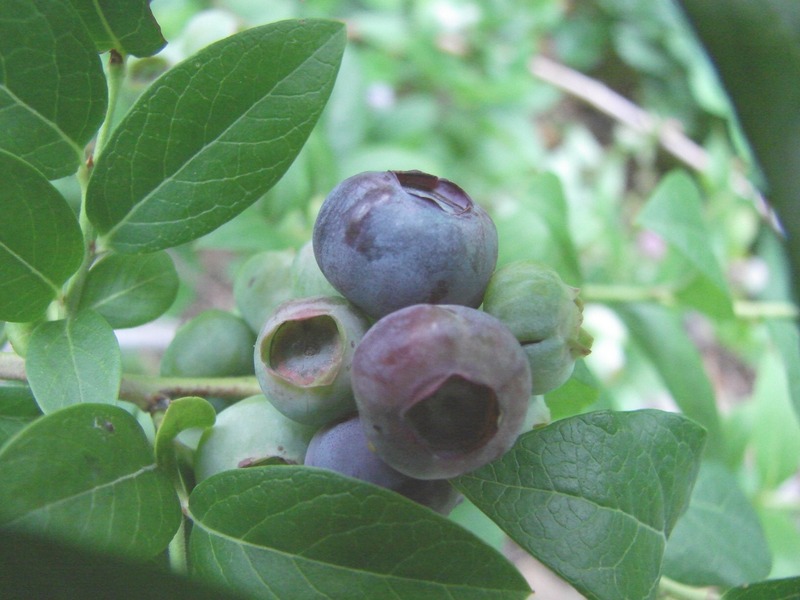 Five Decades of Berries: Once you get them established and continue to give them adequate care, a blueberry bush can provide fruit for up to 50 years. 7. Super Food Status: Antioxidant-rich blueberries have reached super food status for their ability to help protect us from ailments like heart disease and cancer. Studies have shown that they promote brain health and eye health and that this low-glycemic food can help regulate blood sugar. Blueberries also provide you with a good amount of fiber, vitamin K, vitamin C and manganese. Blueberries are relatively easy to grow, but it does take a bit of preparation and effort early on to get them established and going strong. Soil preparation is particularly important for growing blueberries. The soil must drain well, should have plenty of organic matter and needs to be acidic. If you are planting in the ground, you can improve the soil by adding peat moss or a bark-based planting mix. Some gardeners find it easier to simply plant them in a bark-based planting mix with plenty of compost in a container, which allows you more conveniently manage soil acidity. Whether you are planting in a container or in the ground, be sure to choose a sunny location. If you are planting in the ground, you will also need to be sure to space your blueberry bushes five or six feet apart (for the highbush varieties that do well in Southern California). After planting in the ground or in containers, be sure to add a layer of mulch around the base of each plant. This will help fend off weeds and retain soil moisture. In some parts of the country, it is best to plant blueberries in spring or fall, but in coastal areas of Southern California, the mild climate allows us to generally plant them any time of the year. Blueberries have shallow root systems, which means they will need more water than some of the other fruits and vegetables you grow in your backyard garden. Like we recommend for just about everything you grow, we recommend less-frequent, deep irrigation when growing blueberries. For the first couple of years, it is best to remove blossoms and not allow your bush to fruit. After the third year, you will want to give each bush a good, annual pruning. At each pruning, you will remove any dead wood and growth around the base of the plant. It is okay to do quite a bit of pruning, so you can feel comfortable cutting back your plant by 1/3 or a bit more each year. Birds will probably be your biggest problem with it comes to potential pests or diseases. To keep birds away when growing berries, you can place plastic hawks or owls around your garden (like scarecrows) or invest in bird netting to protect your plants. Southern highbush blueberries are the best choice for Southern California. If you have room, it is best to have at least two varieties of blueberry bushes, which allows for cross-pollination and a longer harvest. 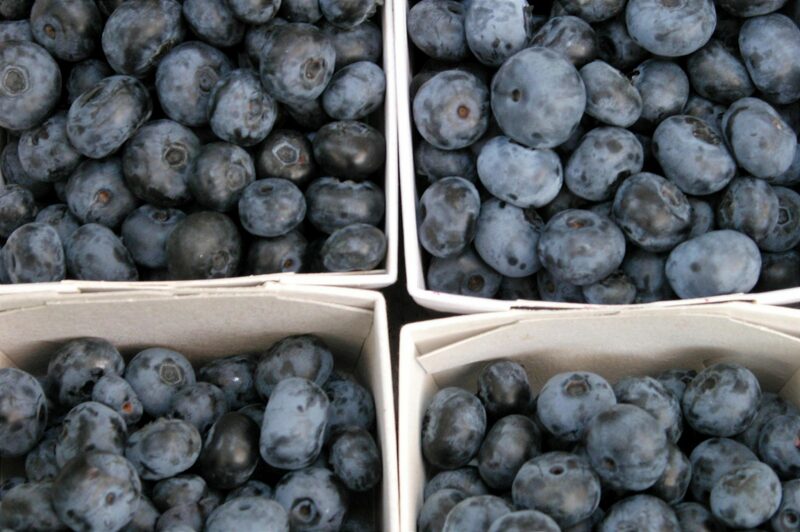 To enjoy fresh blueberries as long as possible, it is best to have three varieties. Make sure you include at least one each of varieties that provide early-season, mid-season and late-season fruit to lengthen your harvest as much as possible. What are your favorite varieties and tips for growing blueberries in Southern California?